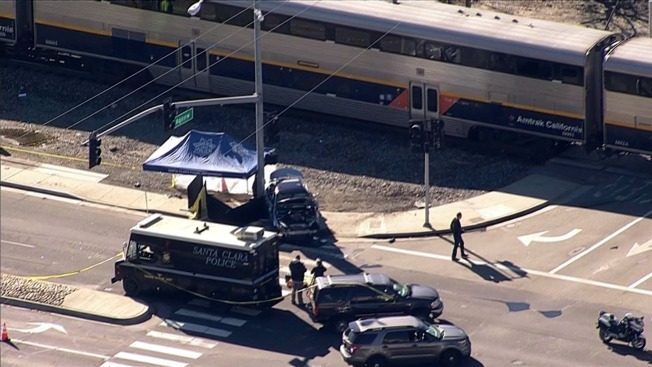 One person is dead after a car was struck by an Amtrak Capitol Corridor train in Santa Clara Friday morning, according to an Amtrak spokesperson. The crash occurred at about 10 a.m. near Agnew Road and Lafayette Street, the spokesperson said. None of the 45 passengers on board the train were injured, according to the spokesperson. The passengers were bused to San Jose and crews cleared the train from the tracks at about 12:30 p.m.
No other trains were affected.